The E Series Dynamics Module features a compressor/limiter and an expander/gate, both of which return faithfully to the circuitry and key components which define the sound of the original SL 611E Series channel strip. A true RMS converter is used in the side chain while the gain element is an all discrete design identical to the Class A VCA chip used in the original unit. 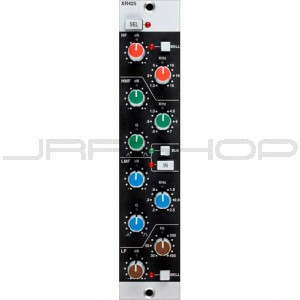 The compressor contains additional switching options to defeat the over-easy curve and to use a linear release instead of the more usual logarithmic curve. The result is a compressor with three distinct voices, each with its own musical character.